TSG provides camera systems that meet the unique needs of the businesses we serve. Our expert team has the experience of designing, installing and servicing all forms of video management systems including some of the largest camera systems in our area. Businesses choose to install video systems for many reasons. TSG works with business owners and their representatives to understand the specific goals of the system and we apply our years of experience to find a solution that fits your needs and objectives. Live video monitoring provides the intelligence you need to protect your employees and facilities. Recorded video produces an audit trail and actionable evidence when needed. 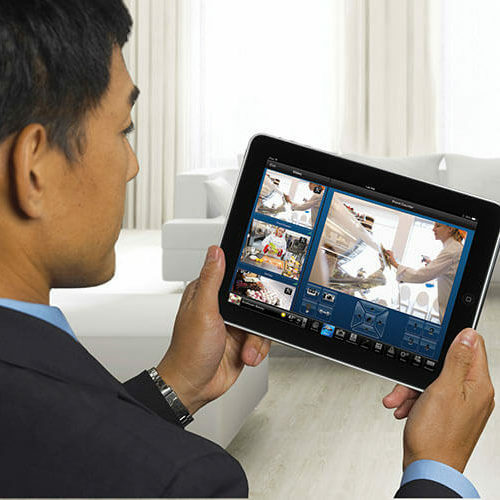 Remote access allows offsite monitoring of live and recorded video. Provide deterrence and prevent unwanted activity. Provide detection through enhanced video functionality like video analytics and thermal imaging. Store recorded video for as long as needed. Use with other security systems to provide event verification and intelligence for emergency responders. 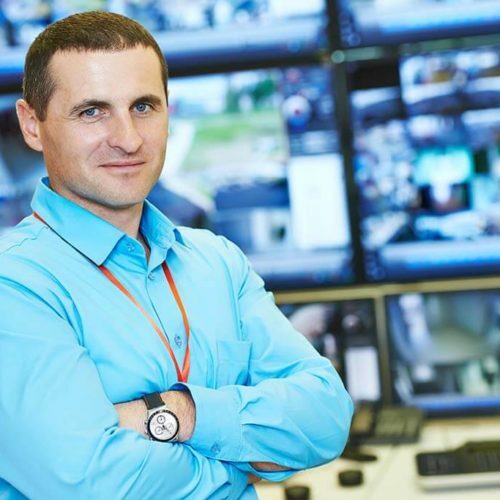 Comprehensive integration with other security and safety systems including access control, intrusion alarm monitoring, intercom, visitor management, key control, identity management, building automation, asset management and more. Use your existing network infrastructure or we can provide a dedicated security network isolated from public domains. Enhanced video processing tools for; license plate recognition, object left behind, object crosses a line, directional motion, motion tracking, virtual fence and more. Support for all major camera brands. Secure remote access via mobile device or standard browser. Open platform technology allows for a mix of analog and IP video, making a systematic migration possible. Gain the freedom of our open platform – you’re never locked into proprietary hardware. Open architecture design gives you the freedom to choose products that best fit your needs, and work seamlessly on a single security platform. Video analytics call operators attention to important events creating operational efficiency in busy security environments. Supports the latest technologies in electronic locking, including wireless and POE locks. Failover and redundant video storage options. Scalable from a single camera to a global enterprise size system through a single software platform –never replace hardware. Non-proprietary storage can be customer supplied or provided by TSG. Higher resolution which results in better image quality for customers. Easier installation which reduces overall cost of video systems. Digital image that maintains its quality when zoomed, transported or converted. Allows for the use of video intelligence to draw the attention of system operators to important conditions. More fluid motion provides greater image quality. Converting a businesses dated analog video system to an IP system has never been easier. Create an effective video solution today by contacting TSG. We’ll analyze the needs of your business and create a solution that delivers high quality video anywhere your organization needs it. Video intelligence helps you do more with your security data and video. Gain insight to make smarter decisions and take immediate action. Send information to appropriate personnel and pinpoint potential issues instantly. Enhance awareness while you evolve threat detection. Make your security system operators even more aware by using video intelligence to monitor and report on many different situations. TSG has extensive experience installing video intelligence applications at many customer sites and can help you select the right solution to provide increased ROI and get more out of your business security systems.